Who is the Angel Sachiel? But Archangel Sachael (alternate spelling) is now stepping forward in a big way to support humanity. Sachiel is an archangel of water, wealth, success, prosperity, harvest, and material gain. Invoking the presence of Archangel Sachiel really is amazing. 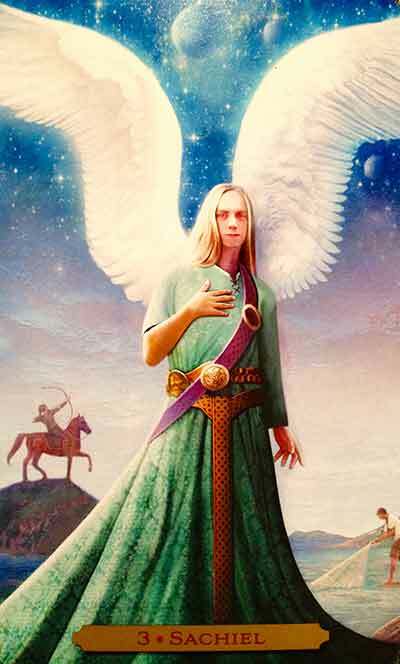 I felt the clear, pure, bright power and expansive presence of Archangel Sachiel right there, standing by to assist all who call upon him in tuning into the higher octaves of abundance, wealth and light. Sachiel’s energy is big, bright, soothing and incredibly uplifting. His bright loving presence brings hope, inspires health, cuts through negative emotional energy, depression and despair by reconnecting you with the true authenticity of your soul light and purpose. Sachiel supports with expansion and growth in all ways, helping those who call upon him to sync with the flow abundance, prosperity and good fortune. He inspires true abundance on Earth, bringing beauty, life-force and co-creation to the forefront of awareness on the planet supporting the vibrant life and well-being of all beings on Earth and as such he is closely connected to the animals, plants, flowers, fruits, insects, oceans, skies, rivers, and wild places and well as cities. He is however a wonderful angel to call upon for assistance in finding your place in the world, and aligning with how you may be of service in the highest interest of all. This alignment fully opens you to the flow of abundance, success and fulfillment in the material world, and Sachiel can help boost your intuition, raise and lighten your energy from within, and accelerate your process of aligning with your highest possible timeline. 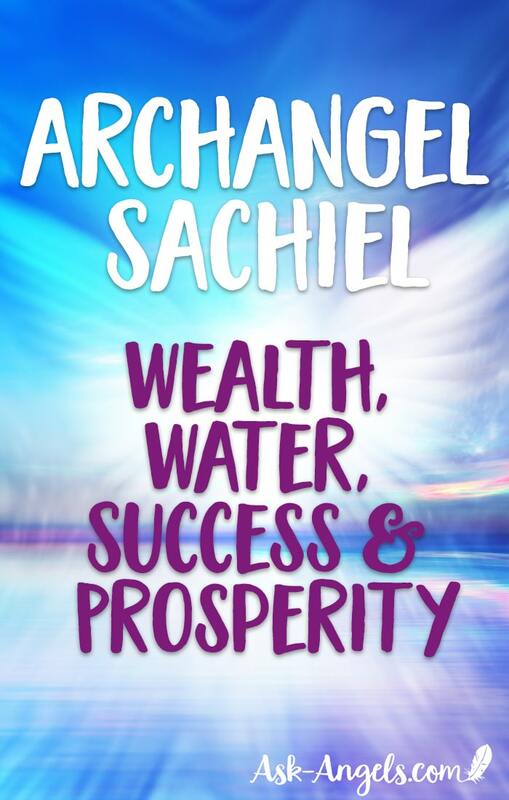 In this sense Archangel Sachiel is certainly an Archangel of Success in the deepest and richest sense of the world. Because of his watery quality of energy, his presence is really soothing… Connecting with Sachael felt to me somewhat like getting cleansed energetically and physically by a vibrant waterfall of love. As you speak these words feel your heart light expand and light up, as Sachiel steps forward to connect with you. Do your best to quiet your mind, and just feel, experience, and enjoy connecting with the incredible light and radiant love of Archangel Sachiel. It is said that Sachiel oversees Thursday, and so he is even more active and easily felt on this day of the week… A great time to invoke his presence and call forth greater levels of abundance, flow, and true wealth into your life! 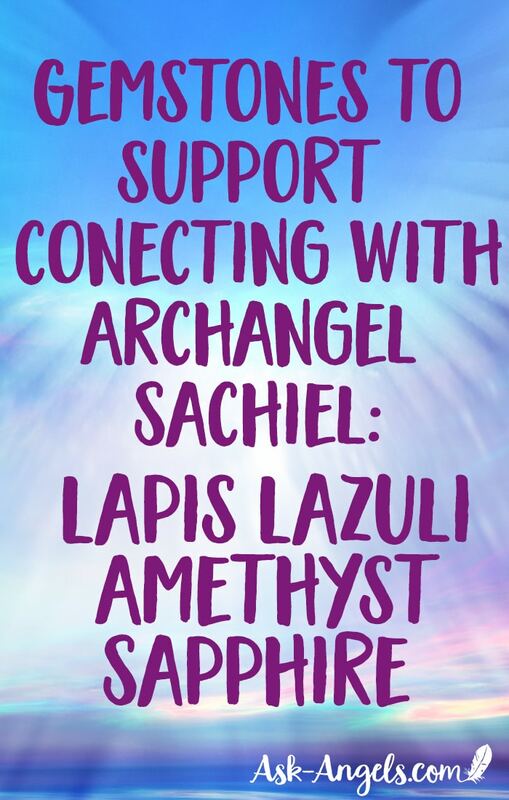 Gemstones to support your connection with Archangel Sachael include: Amethyst, Lapis Lazuli, and blue or purple Sapphire. Why are archangel’s depicted as white? In reality Archangels aren’t any race or color… They’re light! I tried to find this specific angle oracle deck online or on amazon and I’m having trouble. Would you know how I could get one? I feel really drawn to it would like to have one. i am nana kwame from Ghana and i really loves ur post. i have been thirthed for so many year just to feel the present. Thanks again Melanie. I also invoke Archangel Zadkiel on a Thursday, now I will have another as well – Archangel Sachiel which also is about Abundance – possibly why I am also seeing angel number 555 very frequently (something to do with Abundances I believe). Luckily I also have Amethyst & Lapis Lazuli gemstones at my disposal to try the invoking today (after reading this) – both stones started to pulse in my hands (they did not before) with a strange but very pleasant feeling through my body. Many blessings. I aked for the name of my Guardian Angel and I think the answer was Daniel (I kept having the song “Danny Boy” playing in my mind) but I haven’t heard of an angel Called Daniel, have you heard of an angel with that name? I want more information about my guardian angel….. . 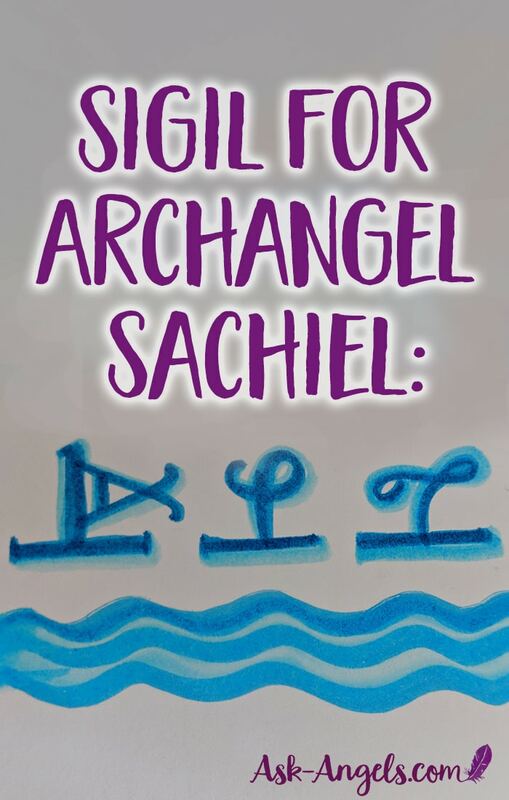 I read the email today about Archangel Sachael…I was under the impression that Zadkiel and Sachael are one and the same? Zadkiel also ‘rules’ Thursdays and the rock us amethyst. Great question… I too found an article saying Zadkiel and Sachiel are the same being, however I do not believe this to be true. Through connecting with them both, I know them to be individual and unique beings.